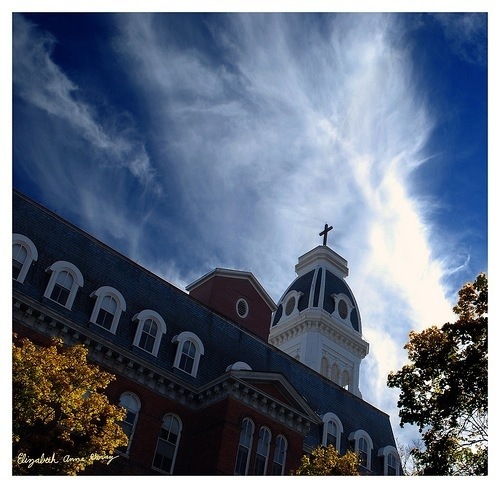 This photo was taken at my college, The College of Notre Dame of Maryland. I absolutely loved my college and really miss going. I graduated from Notre Dame and in 2011, the school changed its name to Notre Dame of Maryland University. The rich history and religious themes made this school my best choice. It’s a great place to take photos too because the architecture is very old. I don’t remember what made me look up for this perfect moment but when I did, I was really excited about the colors and angle.